In 2007 SHEP entered into a learning partnership with the Nepalese organisation, Sahakarmi Samaj (‘Interdependent Community’), a community development organisation that has worked on community empowerment projects in Nepal since 1998. Like SHEP, Sahakarmi Samaj specialises in the training and deployment in the community of skilled facilitators. The main aim of the organisation is to strengthen and mobilise community groups and networks in order to address social, health and economic challenges. 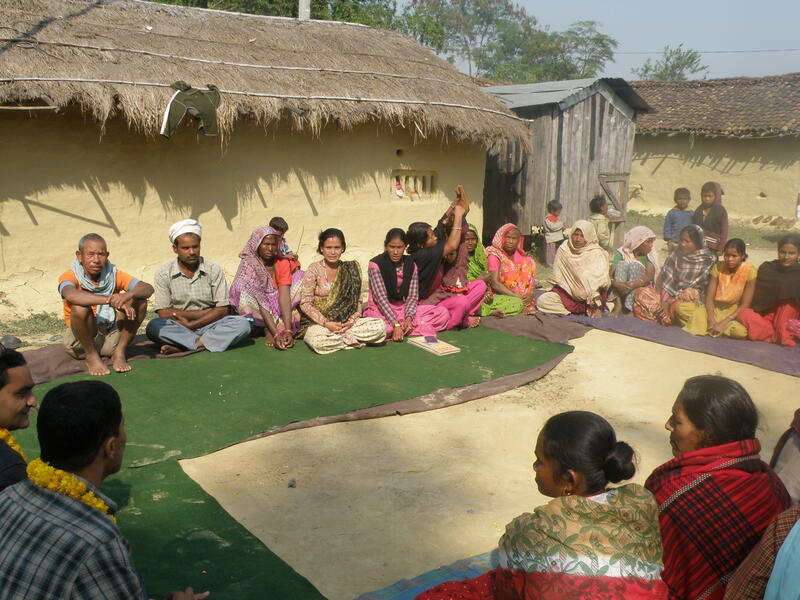 Sahakarmi’s facilitators work to build trust and solidarity among members of village communities and provide support to community groups, as they learn how to manage their affairs through democratic deliberation and planned collective action. Since 2007, Sahakarmi’s work has led to the establishment of over 288 community-based organisations which continue to address the direct needs of their respective communities, directly helping over 8,100 disadvantaged people. Sahakarmi uses the FEST approach (see separate section), which is based on a belief that people themselves can bring real change to their lives and that the role of a supporting NGO is to create an enabling environment. Within this approach, communities independently analyse problems and plan and implement responses appropriate to their situations. The creation of a database of local service providers and available resources for use by community groups. Irish Aid generously supported Sahakarmi Samaj’s work with vulnerable communities in the nine year period 2008- 2016. An application to Irish Aid’s Civil Society Fund 2018 will shortly be submitted to support a new three year programme entitled ‘ Community Empowerment for Strengthening Local Governance’.